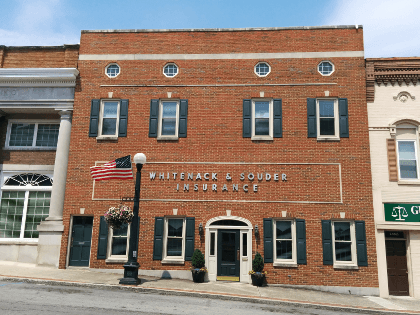 Whitenack & Souder Insurance is an independent agency located in Harrodsburg, Kentucky. Our office has operated continuously, and in the same location, since 1889. We offer quality insurance products and services for individuals, families and businesses. Our highly experienced staff is dedicated to serving Mercer County and the surrounding Central Kentucky area. Being an independent agent means we can combine coverage from different insurance carriers, which allows us to design a policy based on your specific needs and budget. It also means we have access to a wide range of personal and commercial insurance options, including health and life coverages. Why Choose Whitenack & Souder? One word, reliable. Not only has our office been in the same location for 125 years, our staff has over 200 years of combined experience. With our time in the insurance industry, commitment to our clients, dedicated work ethic, and our around the clock availability, we are your trusted and reliable source for insurance protection. Contact us to learn more about Whitenack & Souder Insurance and how we can start protecting your future.